The Ruftaxi Rastatt served every bus stop in the city of Rastatt and the municipal districts Niederbühl, Förch, Otterndorf, Plittersdorft, Rauental and winter village. The Ruftaxi Rastatt must be at least 30 Be ordered by telephone minutes before departure. It brings the passengers exclusively at a bus stop and then sends it to the front door. 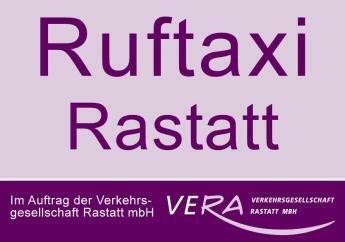 The Ruftaxi Rastatt operates daily from 19:45 Clock every hour until 0:45 Clock. At night on Saturday or Sunday and holidays from 19:45 Clock to 3:45 Clock. On the night of New Year's Eve on New Year only to 23:45 Clock. There the rate of the Karlsruhe Transport Association is comfort plus a surcharge of 2,50 Euro. In the call taxi cab Holl focuses on the art fleet management Austrosoft. These plans new routes every hour on the basis of the votes orders. Depending on the route are therefore possible deviations from the pick-up time. Do you want to continue your order online and track call taxi on a map as the bus stop to your travels call taxi to collect you there? Then register in the customer portal of Ruftaxi Rastatt. 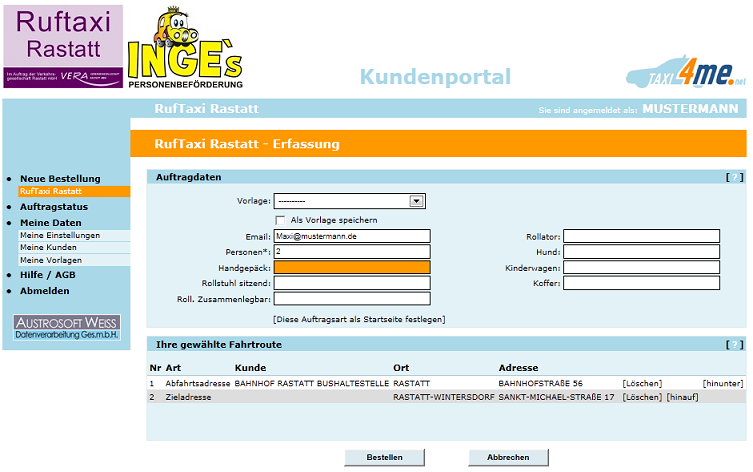 The customer portal, you can create your own templates to simplify and order your own Ruftaxi cancel or re-.